Go, go, go. It’s the new normal for most as that need for quick and easy service has taken over most consumer based businesses. That includes the food industry, retail industry, auto industry, manufacturing industry, and so much more. According to researcher Crone Consulting, in five years, “half of all sales at quick-service chains will be placed digitally before the customer ever steps foot on the premises”. However, for that prediction to come true, it’ll need to grow and grow quickly. The same report mentioned that just ten percent of companies now-a-days even offer an order-ahead option. So, what will need to be implemented by current and future curbside pickup businesses to have success in this booming industry? 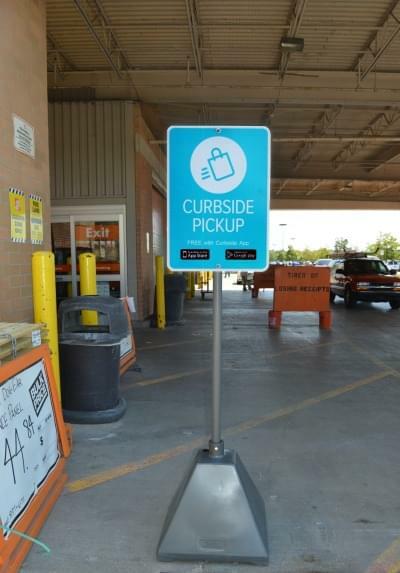 On top of developing or joining a reliable purchasing phone app, the most impactful and cost effective solution is to install visual appealing sign bases and signage at the designated curbside pickup parking spots and throughout the parking lot and/or facility. Whether the curbside pickup is for a restaurant, store, or warehouse, having reserved parking is key. Pickup customers don’t want to park in the street or look around for a parking spot when they’re only planning on running inside for a couple of seconds. 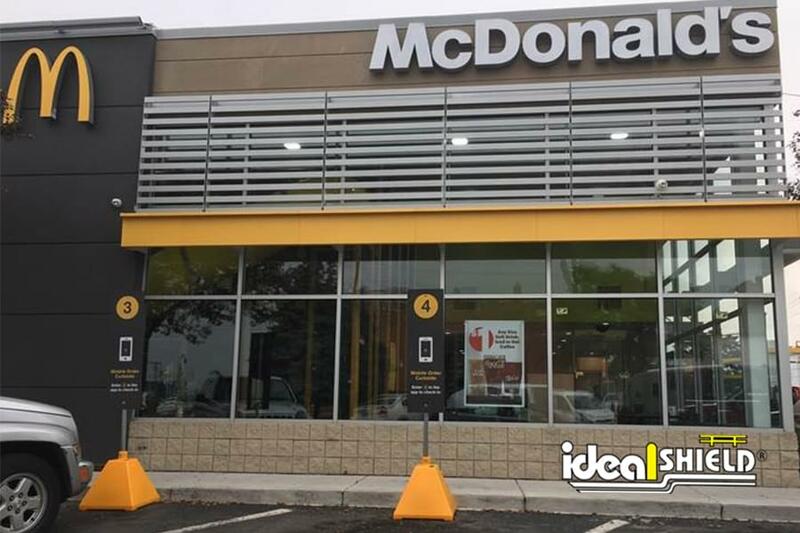 And that’s true for the employees as well, as they don’t want to have to worry about finding the correct car while running deep into the parking lot to deliver an order to the customer. Having upfront curbside parking also is an easy way to advertise the service to customers coming into the business without overdoing it with traditional advertising. So, now that you have the insider signage tips to improve and succeed at curbside pickup, where will you get your sign bases and signage? 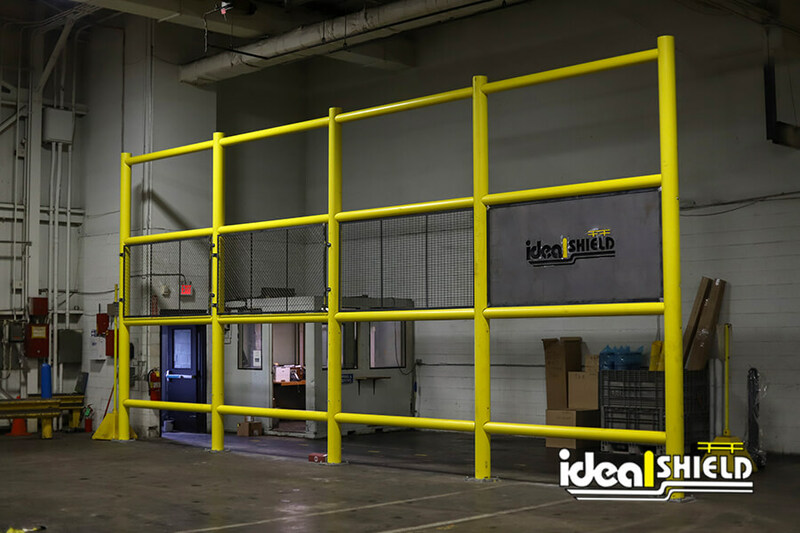 We here at Ideal Shield offer the industry’s most durable and portable plastic sign base option that is the perfect solution for curbside pickup signage. Made from HDPE plastic and weighing just 30 lbs (before being filled), our Pyramid sign base is available with (or without) wheels. This allows for the base to be moved with ease by employees looking to either change the pickup location or bring the signs in for the night, if need be. But that’s not all that separates the Ideal Shield sign base from its competitors. Our sign bases are available in any color to match your company’s branding needs, as well as available with custom signage to fit the exact need. So, what are you waiting for? Stop dealing with old, cracked, chipped, faded, and immovable concrete sign bases, as well as weak, cheap sign bases that will fall down with the first gust of wind. Give us a call today at 866-825-8659 or contact us online to learn more about our portable plastic sign bases that will be the perfect fit for your curbside pickup needs!